In this episode of Go! 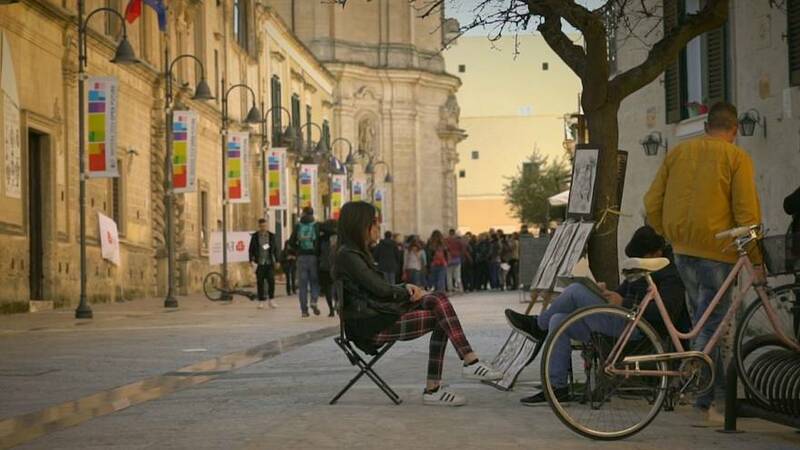 Matera, Euronews' Marta Brambilla finds out about the projects that are at the core of the city's 2019 European Capital of Culture year. With the longer days and warmer hours, Spring has finally sprung in Matera and the historic southern Italian city is making the most of its role as European Capital of Culture 2019. Two key projects are at the heart of this year's event. The first, called I-Dea, uses archives and collections from the Basilicata region. Joseph Grima is Matera 2019's Artistic Director. He says I-Dea, more than the city's other projects, unearths the region's anthropological, sociological and human history. “I-Dea attempts to explore the archives of the Basilicata region in a transversal way, to discover a story, which very often is unknown, of this part of the world that is actually full of incredible beauty but also mystery and surprising stories," Grima says. Matera's second major project is called The Open Design School. A place for experimentation and research, the school is home to Ods Lab, a creative workshop set up to support events during the year. Rita Orlando is the Project Manager of Ods. She says: “Usually a big event like this needs lots of infrastructure - stages, signs, lighting, seats, etc. Instead of renting, we decided to design, create and make them ourselves so that everything will remain here."